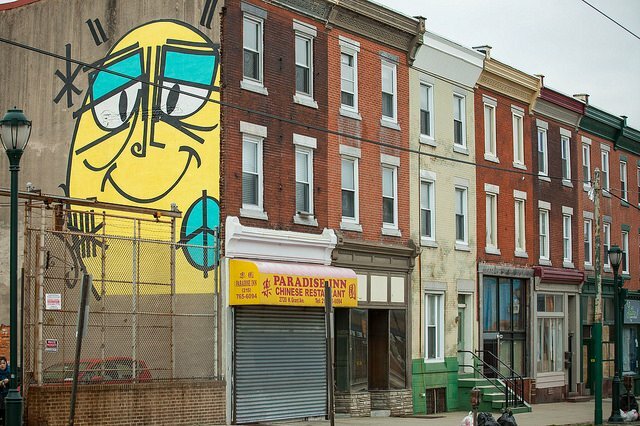 How affordable is Philadelphia for homebuyers? Row homes along Girard Avenue in the Brewerytown neighborhood of Philadelphia. Even with lower interest rates since the housing market crash of 2007-2008, the costs of purchasing a home have remained prohibitively high for many Americans, particularly younger, first-time homebuyers. Factoring in the principal, interest, taxes, and insurance for median-priced homes, location can make all the difference in whether or not home purchases are viable for residents in cities across the United States. 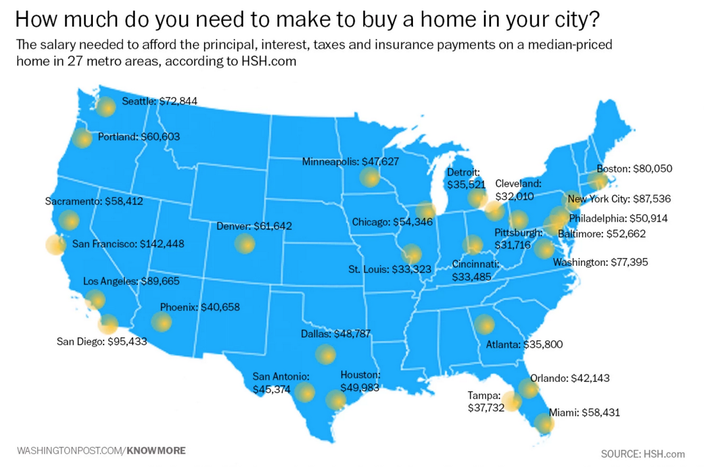 The Washington Post took a closer look at a map put together by mortgage-research site HSH.com, which estimates the salary needed in 27 U.S. cities to afford a median-priced home. Based on fourth quarter price data and an average interest rate for a 30-year, fixed-rate mortgage, Philadelphia comes in at number 14 on the list, with a salary of $50,914 needed to afford a median-priced home. How exactly are these numbers playing out? The Philadelphia Business Journal reports that in 2014 the city's residential sector transacted homes at the fastest rate in three years. Median sale prices rose 1.2 percent to $212,500 as houses spent less time lingering on the market. The most current data for real median household income and per capita income in Philadelphia, taken from 2013, indicate that the estimated salary for home affordability is attainable for many, albeit without lots of wiggle room. The per capita figure may point to larger larger demographic questions about trends among millennials, who could remain single earners for longer periods of time. According to Fortune, however, first time homebuyers might be poised to make a comeback in 2015, based on the strength of millennials. Millennials are the largest generation so far, and they impact America’s housing market in big ways. For instance, approximately 3% of 25 to 34-year-olds were able to purchase a home in 2014, compared with 5% in 1980. With the larger number of 25 to 34-year-olds today, a 5% purchase rate last year would have increased home sales by more than 15%, and would have represented a share of 40% of all home sales. Suffice it to say that Philadelphia offers greater prospects for many first time homebuyers than a West Coast city like San Francisco, which demands a salary of $142,000 with the same factors considered.